July 28, 2017 – America’s Small Business Success: Entity formation – what is right for you and your business? Choosing your business entity type is important in helping you maximize your tax benefits while reducing your liability. 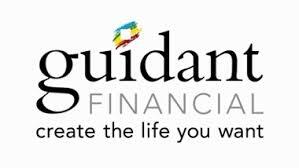 In this short informative video David Nilssen of Guidant Financial shares 4 basic entity options. Understand the basics before meeting with your tax advisor on what entity option is right for you. July 14, 2017 – America’s Small Business Success: Can you rollover your retirement fund tax free? YES, there is a great but not well known opportunity to invest in you! David Nilssen of Guidant Financial explains in his video ROBS 101 how you can invest up to 100 percent of your retirement funds into buying a business without taking a taxable distribution or getting a loan. July 7, 2017 – America’s Small Business Success: Are you an entrepreneur in the United States? No matter where you travel in this great country you will find small businesses which may leave you asking yourself, do you have what it takes to be an entrepreneur? Guidant CEO David Nilssen shares his views on the three common characteristics that make business owners successful. Here is the video! July 1, 2017 – 5 Questions: Do you qualify for 401(k) business financing?